let's get naked, wet + clean together. 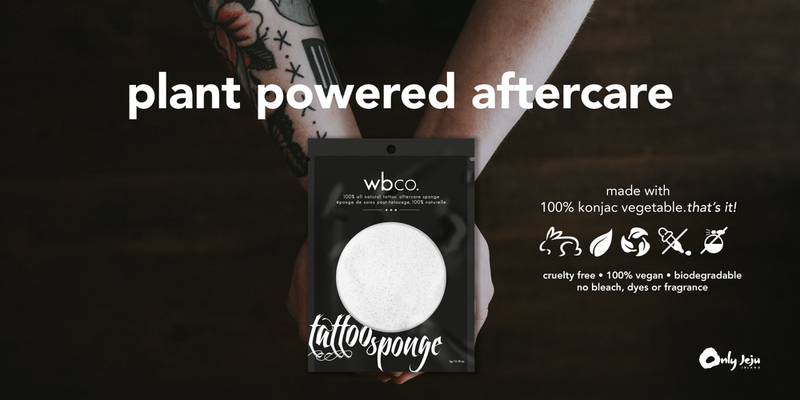 ⚡️ made with 100% konjac root vegetable. huh? i can help clean up your newly inked skin from all that post-tattoo stuff like leftover ink, plasma + residue. p.s. i'm also super gentle and glide over your new ink to help soothe + condition while you heal. p.p.s. i'm reusable up to 3 months + sterilizable too. just get me wet, i'll do the rest. in case you want to see more of me, i'm on insta. tag #wbcoinkfam to be featured. hey #inkfam - ready to get clean with me?